Last weekend, I was glued to my couch watching not one but two different documentaries about the 2017 Fyre Festival—one on Netflix and one on Hulu. When I came into work after my binge, everyone was talking about how they were also obsessed with one of the most insane concert experiences (and not in a good way) since Woodstock ’99 went down in flames, literally. I remember hearing news stories about the train wreck of an event that rich millennials paid as much as $250,000 for, thinking they were going to party on a private island in the Bahamas with influencers and celebrities, stay in luxurious villas, and eat food from world-renowned chefs. But when the festival goers actually landed on the island, they found that the concert had been canceled, their villas were actually FEMA tents, and they were being served cheese sandwiches in Styrofoam containers. I remember laughing to myself, thinking who would pay a quarter of a million dollars to see Blink-182 and Ja Rule in concert just because Kendall Jenner and Gigi Hadid are supposed to be there? The organizers of the concert blamed the fiasco on bad weather and infrastructure issues in the Bahamas, but I knew there had to be more to this story, and I was right! 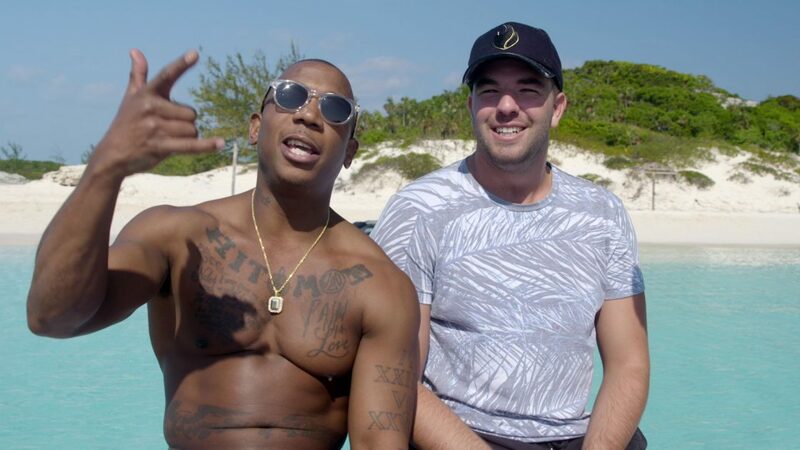 Basically, tech entrepreneur Billy McFarland went into a partnership with the rapper Ja Rule to create a booking app for celebrities. In order to spread the word about the app, they decided to put on an exclusive concert even though they had no clue about how to plan a concert on such a large scale in a short amount of time. McFarland was millions of dollars in debt, basically running a Ponzi scheme, and ended up racking up federal charges for his shady business dealings. While I was watching Netflix’s Fyre and Hulu’s Fyre Fraud, all I could think about was how exhausting it must be to be a con artist, trying to fake it until you make it 24/7, keeping all your lies straight and having to think of more and more ways to fund all your schemes. And although I could never be someone like Billy McFarland, it doesn’t stop me from wanting to read up on people like him to try to get an understanding of how they tick. 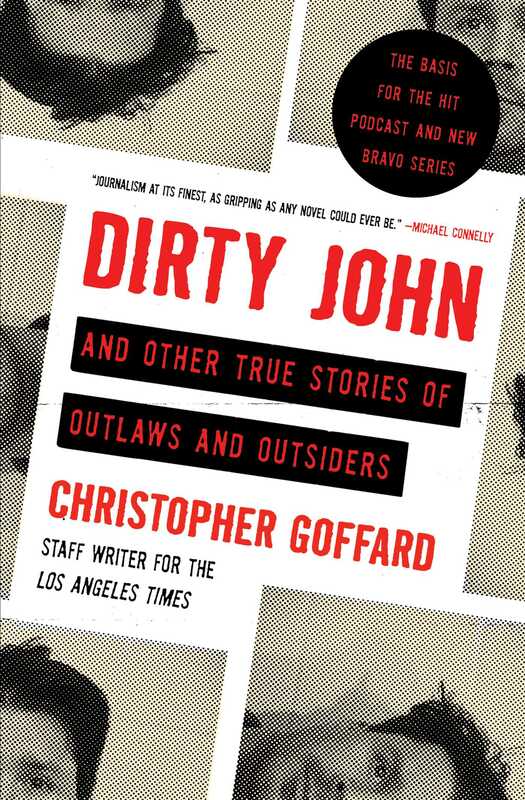 Christopher Goffard is a staff writer for the Los Angeles Times who has published a collection of stories that are so compelling you will read this book from cover to cover. The most infamous story is the title story “Dirty John,” an expose of a grifter sociopath who preyed upon lonely, wealthy woman, and it was so riveting, it inspired a podcast and a Bravo TV show. “Dirty John” tells the story of Debra Newell, who met what she thought was a charming doctor and war veteran named John Meehan on a dating app. Debra was instantly smitten and married John after a short courtship. Little did she know that John was a drug addict with an unsavory past, but her family could sense something was off about him, leading to an explosive unraveling of secrets and violence. I knew tons of people who forged letters from their parents to explain unexcused absences at school. Not me, I was way too chicken! Well, apparently if you hone your imitation skills beyond a sick note, you can actually make some money forging authors’ letters, not that I am telling you to do that, but that’s exactly what Lee Israel did. 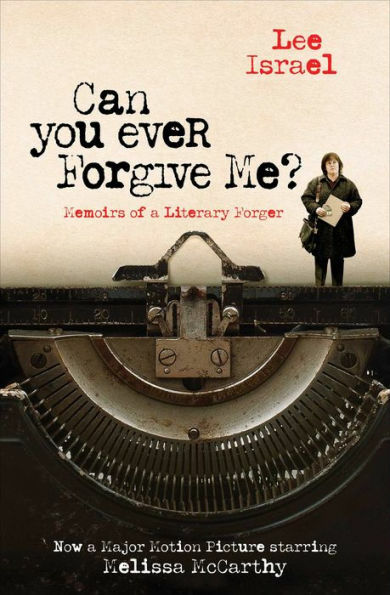 Now an Oscar-nominated film starring Melissa McCarthy, this memoir covers Lee Israel’s experiences forging and selling letters by literary greats such as Dorothy Parker! Israel used to be a successful biographer, but when she was running out of money in the 90s, she turned to forgery so she could keep her apartment. She wrote more than 300 letters and sold the fakes to memorabilia and autograph dealers. I hate going to the doctor’s office and getting my blood drawn: the phlebotomist can never find my veins, and once they do, I feel like it takes forever to fill those vials. 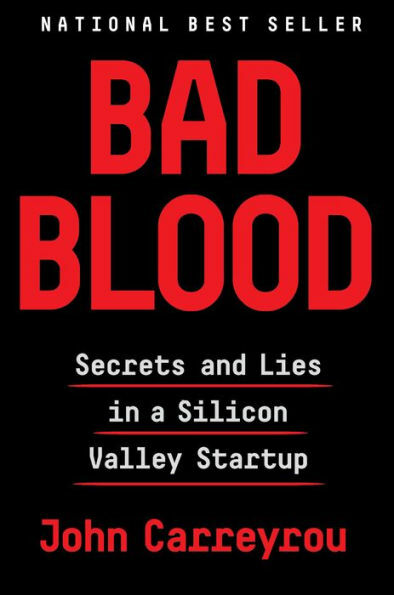 That’s why I got so excited when I heard about this company called Theranos, which invented a technology that could use just a few drops of blood for medical analysis. The founder of the company was Elizabeth Holmes, a Stanford dropout who was being hailed as the next Steve Jobs. She was the talk of Silicon Valley and at one point her company was valuated at $9 billion dollars! I remember thinking: where did I go wrong going into publishing because the money is not in books, but your veins! However, there was one big problem—the technology didn’t actually work and Elizabeth Holmes knew it. I can’t wait to read this book, and I hope someone who reads it gets inspired to actually invent this technology so I am no longer poked and prodded excessively by the phlebotomist’s needles. Do you ever have imposter syndrome? You’re sitting there in a meeting and someone asks you a question and sometimes you’re thinking to yourself maybe I’m not the right person to be answering this…I’m not talking about myself of course, I’m just asking for a friend! 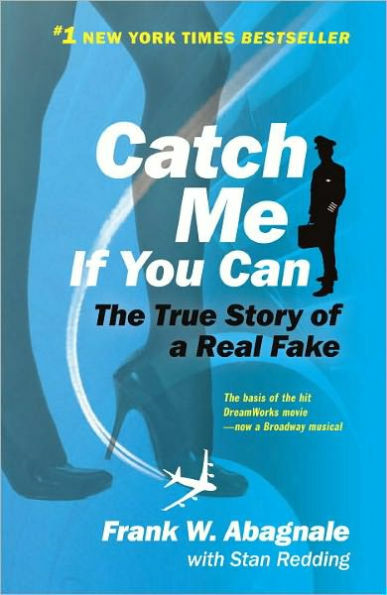 Well, Frank W. Abagnale, alias Frank Williams, Robert Conrad, Frank Adams, and Robert Monjo, didn’t have that problem. He already knew he was a big old imposter because he was one of the most infamous escape artists in history. Some of his crimes included: wearing a pilot's uniform and co-piloting a commercial jet; pretending to be a supervising resident of a hospital; practicing law without a license, and cashing over $2.5 million in forged checks. And he managed to do all of this before the ripe old age of 21. The only forgery I was trying to do before 21 was get a fake ID so I could get a drink! If you think you’ve heard this story before, it’s because it was the inspiration for the Leonardo DiCaprio movie by the same name. In the late 90s, people were eBay crazy. There were all these stories of folks quitting their jobs to sell their goods on the platform, or everyone knew someone who spent all day bidding on “treasures” that usually didn’t turn out to be that great. What you probably didn’t know is that there used to be art collectors who used eBay to spend a lot of money on art they have never seen before in hopes of getting valuable stuff on the cheap. It was also fertile ground for con artists who gamed the system with fake pieces. 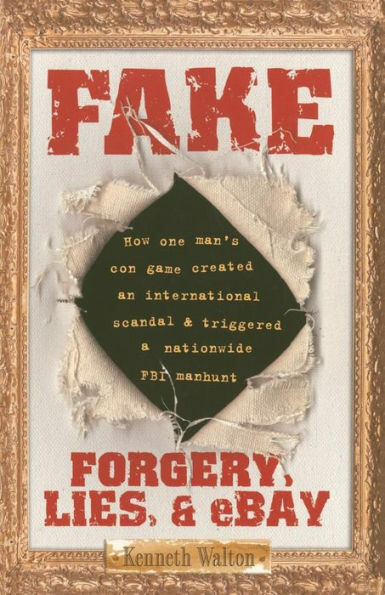 Fake tells the story of a former lawyer, Kenneth Walton, who entered the world of selling forged art on eBay to pay back student loans and credit card debt.